When Revealed: Each player chooses a card type and discards each card in his hand that is not of the chosen type. 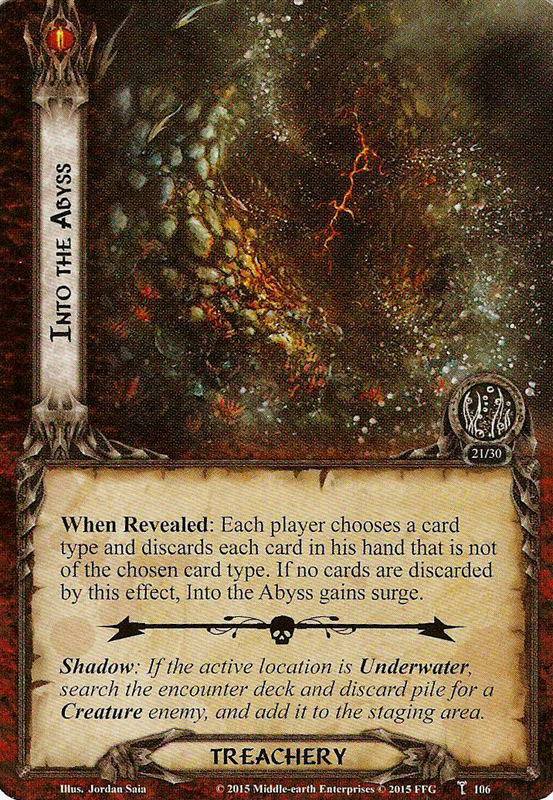 If no cards are discarded by this effect, Into the Abyss gains surge. Shadow: If the active location is Underwater , search the encounter deck and discard pile for a Creature enemy, and add it to the staging area.